Not a big macanudo fan, but was very surprised by the inspirado red. Got this one as a promo & I ll definitely going to be ordering some. 3 months ago a received Macanudo Inspirado Red, White, and Black cigars as an add on to a box I purchased. 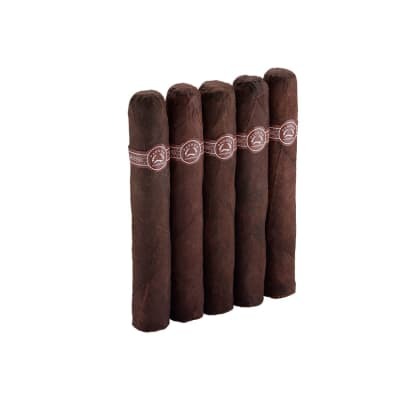 I smoked a few of this right out of the cello and reviewed them as being very much fuller on flavor and body than most Macs. I aged a few of them, both wrapped in cello, and unwrapped, for 3 months, in my humidor.This particular cigar, aged unwrapped for 3 months, is hands down one of the best cigars I have ever had. As I initially experienced, it is a pepper bomb at the beginning, almost so strong that it is unenjoyable. About an inch in, the flavors mellow out and change dramatically. There is this huge shift to a honey and leather flavor that is like nothing I have ever had before, and as the strong spices fade, those sweeter and lighter flavors increase throughout the remainder of the smoke, until your fingers burn and you find yourself yearning for the next one. This is a wonderful smoke when conditioned a little.I d recommend picking up a 5 pack while they are still affordable, then resting them for a few months. They are crazy strong out of the cello but develop wonderfully with a little aging. If you like a medium and complex smoke with distinct transitions, you cannot do much better than this. Out of the cello it is everything you expect from a mac: good, well constructed cigar with good performance overall. After a few months of aging you will be looking at this and your Padrons and trying to decide which one you are in the mood for. It s that good. 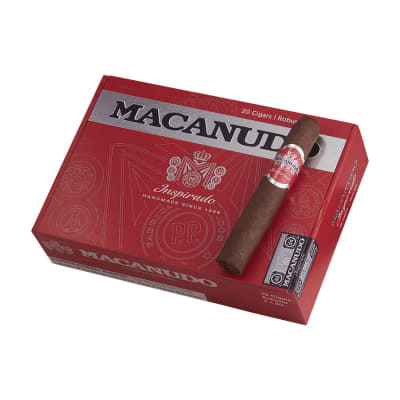 Macanudo is known for producing one of the most popular cigars in the Hyde park. Their natural Dominican line has a beloved following, I being one of those followers. That said, if you come to Macs for a nice, smooth, mellow smoke, this may not be the one for you. It’s like a fist to the mouth, but in a good way.This is a medium to full smoke throughout that is full of pepper flavors. It transitions wonderfully, giving way from a very powerful initial flavor to a strong coffee and chocolate finish near the end. It’s interesting throughout and keeps me coming back.The pack on mine was a little spongy, not what I expected from a box press, but I did enjoy it. There was a good level of smoke throughout the stick. It was kind of like sitting down to a rich and robust meal and finishing with a lighter desert. Like I said, interesting throughout. I was glad to have this experience. 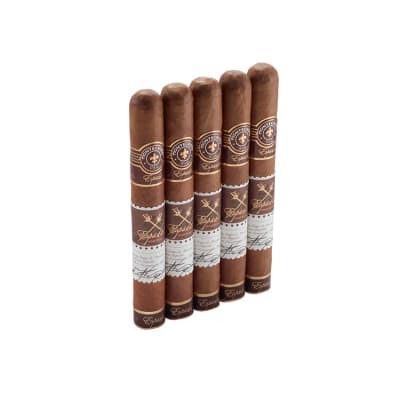 I have a few padrons in my humidor that I keep for when I want that super strong and flavorful experience, and I will keep a few of these also for when I want that level of strength in a cigar I can actually afford.Unlike other reviews, I found this to be a shorter duration smoke. I was done with mine in 40 minutes. For me I this is definitely and end of day cigar. I really enjoyed the depth of flavor, and look forward to my next one. I like to smoke a cigar, think about what flavors I find, and then compare--afterward--with a couple of YouTube cigar guys that I think know what they re doing. 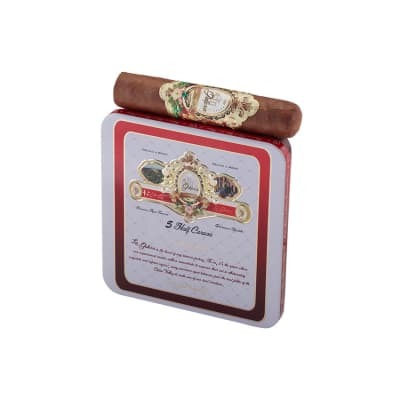 This cigar appears to be all over the place---I think there is a lot of variation in what people are finding. For example, one reviewer online found the cigar packed very tightly without any give whatsoever , where I found mine quite spongy with a draw that was almost but not quite too loose. This cigar is very transitiony. This is the least box-pressed of any box-pressed cigar I have seen---very rounded box press. Burn was straight and required no touching. The one constant that all decent reviewers seem to note and that I wholeheartedly agree with is a cinnamon note that persists throughout.At first light, I was disappointed. It was peppery, rude, a little bitter, with strength but slightly light on the body side. Main notes out of the gate were pepper and cinnamon, persistent on the tip of the tongue. Borderline unpleasant, I thought. As soon as I got into the first inch or so, however, it improved quite a bit. Pepper receded somewhat, and the cinnamon was prominent--very much reminded me of the small cinnamon hearts you occasionally see decorating deserts. Body and strength medium-plus at that point. 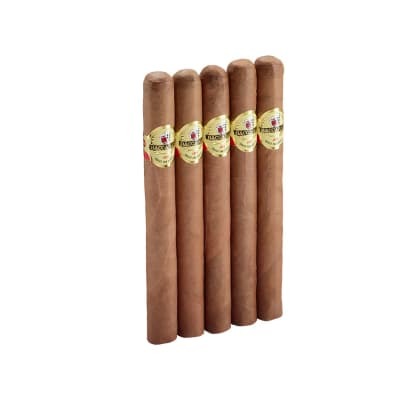 In the middle of the cigar, strength and body reduced to light-medium, cinnamon still present, kind of a pleasant mix of the usual flavors, as well as some that I couldn t quite put my finger on, with a subtle sweetness. But what really took me by surprise was the last third, when the cigar just very jarringly transitioned into a fuller body with the most potent milk chocolate flavor I think I ve ever had in a cigar, tempered by that trademark cinnamon that goes throughout this stick. I want to say for the record that I am not the kind of guy who usually notes a lot of transitions in a cigar---this cigar had very potent, very clear, transitions; I can t imagine that there is anyone on the planet who would not find the transitions prominent and obvious.I am a big fan of these Inspirado line cigars. For my money, I think the white inspirado is the best, throughout. But this red inspirado had truly superior moments, and I think for this price point, is a remarkably interesting cigar. I will be pleased to keep a dozen of these in the humidor and see how they develop.